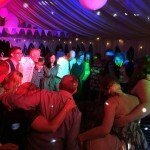 Hello and welcome to Cambridgeshire Wedding Disco. 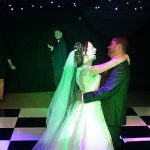 I’m Wayne, an experienced and professional wedding DJ, and I’ve helped hundreds of couples to realise their dreams for their perfect wedding entertainment. 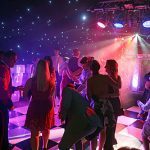 Whether your wedding is to be held in a grand stately home, a hotel, a marquee or a village hall, I have the experience and knowledge to help to make the entertainment special and memorable for all the right reasons! Wayne was fantastic, we loved meeting with him, he was a genuinely nice guy and the online pay list we could create was cool to have. I would recommend him for any party you may have. Thank you so much again for an awesome night. Hi Wayne Thanks so much mate, you were absolutely brilliant and Afton was very pleased Ended up being quite a late one, we went to bed at 3am!!!! Wayne is absolutely fantastic, super nice chap and incredible value for money! I could not recommend him enough. He did our wedding at The Old Hall and definitely went the extra mile. Nothing was too much to ask! From the crazy late texts at night, the reassuring meetings, the super user friendly online playlist tool to the organisation of a really fun question/answer game for the bride and groom that went down like an absolute charm and that people are still laughing about to date! That allowed for unforgettable pictures of our guests cracking up! Wayne even brushed up his French skills for the benefit of my own family. Just first class! 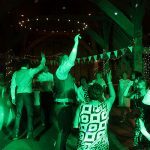 Just wanted to thank you for such a fab disco at The Old Hall on the 6th. 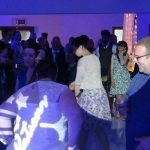 I had a great time dancing to all the brilliant tracks you were playing. I even had to go and change my shoes as my feet were hurting from so much dancing. I love a good disco and you certainly provided us with one. You played just the right mix of our requests and your own choices. I just wish you could have played for another couple of hours,it was brilliant! 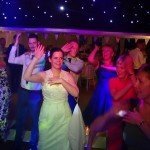 We just wanted to send you a quick email to say thanks for being our DJ on Saturday and doing a perfect job. From the number of hangovers on Sunday, it sounded like everyone had a great time! We certainly did! Thanks for keeping the party going and exposing a few of my friends secret love of the Spice Girls! Who knew? Wayne was great, very friendly and professional. He was very happy to discuss any requirements or ideas we had and always had a positive outlook. 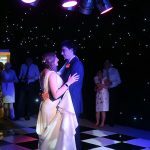 He really made the reception work well, especially doing a half hour kids disco set with games etc…thanks again. Just wanted to send you a quick message to say thank you so much for making our wedding reception so much fun! You did a fantastic job and Liam and I were so pleased with everything you did. 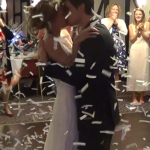 The confetti cannon was brilliant, and I can’t wait to see the photos. I will definitely recommend you to friends and family, and should we need a DJ in the future I will get back in contact with you ? 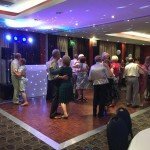 Wayne is a quality DJ and all of our guests loved the evening with him. He was easy to work with, and the whole thing was completely hassle free. Would definitely recommend this guy! Every wedding is unique and it's important to make sure yours will be as well. Because of this, I take the time to listen to your ideas and help you to make your dreams a reality. 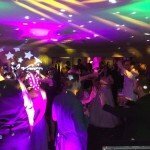 What I certainly WON'T do is turn up at your wedding reception as the stereotypical DJ that likes to spend a lot of time on the microphone and play the same old songs. 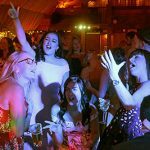 From providing the music for your ceremony to creating the perfect party at the end of your day, you can be sure that I'll be working with you to create exactly the right atmosphere to make yours the wedding that people will remember for all the right reasons! I want everything to be perfect for your big day as much as you do! 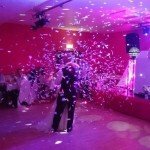 In short, the success of your wedding entertainment is as important to me as it is to you. I take great pride in providing the very best service I can, and my reputation absolutely relies on that fact! I'm always happy to talk through your plans for your big day, even before you book me! 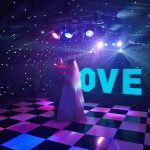 Why not get in touch to see how we can work together to create the perfect end to your perfect day? 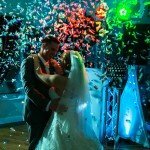 How am I different from other wedding DJs? Want to meet me before booking? Not a problem at all - in fact I prefer it that way! 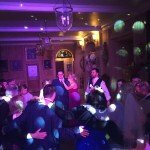 After all as your wedding DJ, I'm there for a big part of your day. It's important to know I'm going to be the right match for your wedding reception. I certainly won't churn out a generic wedding playlist regardless of your musical tastes! 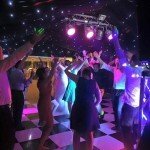 You can have as much or as little say in the playlist as you wantIt's your wedding, your way! You can specify the whole playlist or just a few favourites. Maybe you have ideas of something different to do during the evening such as games or interactive entertainment....I'll work with you to make your dreams come true. I wouldn't dream of something going wrong and ending the party early! I have many configurations of lighting and setups available and I'll work with you to create a look that's right for your wedding.